The students of K.R. 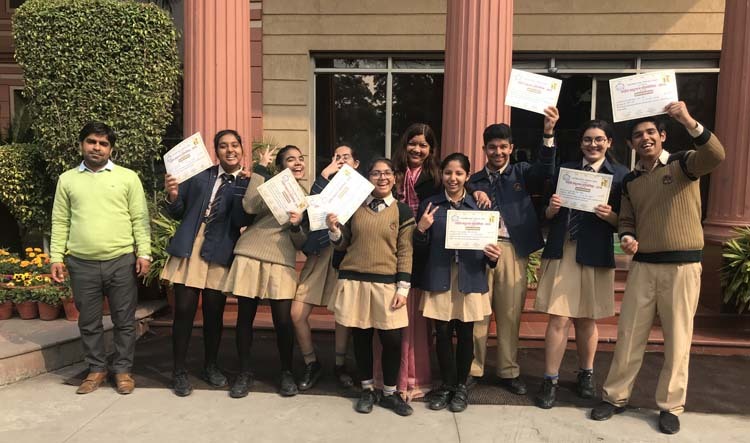 Mangalam World School, GK II, participated in an Inter School Singing Competition organised by the Bharat Vikas Parishad in the various districts of the city. The competition included group songs in both Hindi and Sanskrit. The group participated in both the events, singing ‘Tum samay ki ret par’ and ‘Jaya jaya hai’ respectively. Both songs comprised of singers as well as students on the tabla and harmonium. After clearing the first round by winning the third position, the choir advanced to the State level.